Your message has been sent to Maria Pantalone. Like authorSTREAM? Give us a +1! 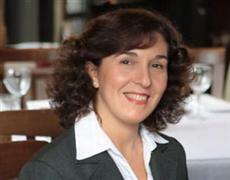 Maria is an experienced speaker and coach to speakers. She knows first-hand the importance of using PowerPoint effectively and the impact that it can have on your presentation. Maria works with individuals and groups, both face-to-face and online, to develop all aspects of their presentation, including developing slides that help to sell the speaker's message. Maria Pantalone is the founder of Infinite Growth. InfiniteGrowth commented on his own presentation "World's Worst Presenter"
www.infinitegrowth.com.au | 5 Habits To Ruin A Presentation What not to do in a presentation and suggestions for improvement. Don’t ..
InfiniteGrowth uploaded a new presentation "The Power of the Story"
It’s a common misconception that presentations dealing with mathematics, science, law or business can’t have stories. And so presenters..
InfiniteGrowth uploaded a new presentation "How To Write A Business Case"
www.infinitegrowth.com.au | What makes a good business case? Find out how to structure a business case and green light your project. ..
InfiniteGrowth uploaded a new presentation "5 Tips For Effective Leadership"
www.infinitegrowth.com.au | Want to become a more effective leader in your workplace? Follow these 5 tips! Visit us at www.infinite..